Rathnure N.S. is a Roman Catholic co-educational primary school of the parish of Rathnure, under the Patronage of the Bishop of Ferns. The school has a catholic ethos and we commit ourselves to making our school a safe and enjoyable place of education through an integrated and challenging curriculum. Each pupil will be respected and encouraged to develop to his/her potential and to grow in love and respect for God, for self, for others and for our environment. We are open to the challenge of the future, encouraging effective co-operation between pupils, staff, parents, management and the local community. Molfaimid go h-árd úsáid na Gaeilge sa scoil. To create a school environment where we can learn and grow to our full potential. This enrolment policy is being set out in accordance with the provisions of the Education Act (1998). The Board of Management trusts that by so doing parents will be assisted in relation to enrolment matters. The chairperson of the Board of Management, Fr. Brian Broaders and the principal Mrs Taragh Nolan will be happy to clarify any further matters arising from the policy. 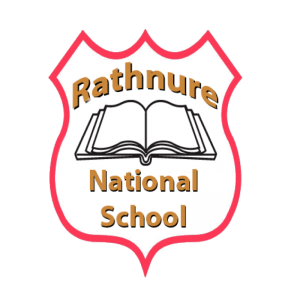 School Name: Rathnure National School/Scoil Náisiúnta Rath An Iubhair. School Address: Rathnure, Enniscorthy, Co. Wexford. A Roman Catholic School is described in the ‘Schedule for a Catholic School’, as one which aims at promoting the full and harmonious development of all aspects of the person of the pupil: intellectual, physical, cultural, moral and spiritual, including a living relationship with God and other people. It models and promotes a philosophy of life inspired by belief in God and in the life, death and resurrection of Jesus Christ. It provides Religious education for the pupils in accordance with the doctrines, practices and tradition of the Roman Catholic Church and promotes the formation of the pupils in the Catholic Faith. Name of Patron: Most Rev. Denis Brennan DD, Bishop of Ferns. Total Number of Teachers in the School: 7 Class Teachers, (principal included), 2 SEN teachers. Range of Classes Taught: from Junior Infants to 6th Class with a combination of mixed and split classes. The school depends on the grants and teacher resources provided by the Department of Education and Science and it operates within the regulations laid down, from time to time, by the Department. School policy has regard to the resources and funding available. The school follows the curricular programmes prescribed by the Department of Education and Science, which may be amended from time to time, in accordance with Sections 9 and 30 of the Education Act (1998). The school is open from 9.20am – 3.00pm. Infant classes finish at 2.00pm each day. Parents who wish to enrol pupils in Junior Infants should contact the school for an enrolment form. The enrolment form is also available to download HERE. The enrolment process is carried out during the second term. The Board will communicate generally to the school community outlining the application for enrolment process through the following channels; Newsletter, Church announcements, notice from the local pre-schools, through the school website and local notes in the local newspaper. Certain information will be required by the school when children are being enrolled and information for the Primary Online Database will also be sought at enrolment. The Primary Online Database (POD) is a nationwide individualised database of primary school pupils, facilitating the monitoring of educational progress as pupils move through the primary education system and on to post primary. The system allows schools to make online returns to the Department of Education and Skills (DES) and provides the Department with the comprehensive and in-depth information needed to develop and evaluate educational policy. Parents will also be provided with copies of the school’s Code of Behaviour, Child Safeguarding statement and policies on anti-bullying and acceptable use. Parents will be asked to read the policies and sign that they understand and support them. All of this information is filled in on an enrolment form. A copy of the school’s enrolment form is attached to this policy. Decisions in relation to applications for enrolment are made by Board of Management in accordance with school policy. As a general principle and so far as practicable, having regard to the school enrolment policy, junior infant children will be enrolled on application provided that there is space available. No child is refused admission for reasons of ethnicity, special educational needs, disability, language/accent, gender, traveller status, asylum-seeker/refugee status, religious/political beliefs and values, family or social circumstances. The completion of an application form or the placement of your child’s name on a list, however early, does not confer an automatic right to a place in the school. The Board will have regard for relevant Department of Education and Science guidelines in relation to class size and staffing provision and/or any other relevant requirements concerning accommodation, including physical space and the health and welfare of children. Children living within the Parish of Rathnure. Brothers and sisters of children already enrolled (including stepsiblings, resident at same address) . Children of staff currently employed in the school. Children from outside the parish. The Board of Management specifies that Junior Infants are to be admitted to the school on the first day of Term 1 only. Admission of Junior Infants after this date will be at the discretion of the Board of Management. Applications are welcome from parents of children with extra special needs who wish to enrol in Rathnure N.S. Parents should contact the school at the earliest opportunity, even a full year prior to enrolment. This time may be needed to process the application and to ensure that any extra resources required will be present for the pupil on their first day at school. The application process for extra resources can take some time. In relation to the application for the enrolment of children with special needs the Board of Management will request a copy of the child’s medical and/or psychological report or where such a report is not available, will request that the child be assessed immediately. The purpose of the assessment report is to assist the school in establishing the educational and training needs of the child relevant to his/her disability or special needs and to profile the support services required. Following the receipt of the report, the Board will assess how the school can meet the needs specified in the report. Where the Board deems that further resources are required, it will request the Special Education Needs Organiser, S.E.N.O., to provide the resources required to meet the needs of the child outlined in the psychological and/or medical report. These resources may include for example, access to or the provision of any or a combination of the following: visiting teacher service, resource teacher for special needs, and special needs assistant, special equipment of furniture, transport services or other. The School will meet the parents of the child to discuss the child’s needs and the school’s suitability or capability in meeting those needs. Where necessary, a full case conference involving all parties will be held, which may include parents, principal, learning support teacher, resources teacher for special needs or psychologist and S.E.N.O as appropriate. If the student has special needs such that, even with additional recourses available from the DES, the school cannot meet such needs and/or provide the student with an appropriate education. If the student poses unacceptable risk to other students, staff or school property. Pupils may transfer to the school on change of residence to our catchment area of Rathnure Parish subject to school policy, available space and in some case, the approval of the Department of Education and Science. Parents should fill out an enrolment form as soon as possible and this will be presented to the board of Management for approval. Pupils will be admitted after natural breaks in the school calendar, i.e. after Christmas, Easter holidays or after a midterm break. Pupils transferring into the school but who have not changed residence must fill out an application for enrolment form and this will be presented to the Board of Management for approval. On approval pupils will be admitted after the natural breaks in the school calendar. It is a requirement of the Board of Management that information concerning attendance and the child’s educational progress be communicated between schools as per the Education Welfare Act 2000. Bearing in mind the Catholic ethos of the school, every effort will be made so that the school is as inclusive as possible. While Catholic education and the ethos of the school permeate the day, children of other faiths or none, where request is made, will be excused from attendance at formal religious instruction classes and specifically Catholic liturgies. As far as is possible, in consultation with parents, suitable alternative arrangements will be made in order to facilitate this. It will not be possible however to provide religious instruction in other faiths. Under Section 28 (1) (a) of the Education Act (1998) a Parent/Guardian may appeal against a decision not to enrol a child in a school. The appeal should be made in writing to the Board of Management through the Chairperson, stating the grounds for the appeal, and lodged within ten days of receiving the refusal. Parents, if unhappy with the result of this appeal, may appeal to the Department of Education and Science under Section 29 of the Education Act on the official form provided by the Department. An appeal form is available from Department of Education and Skills, Cornamaddy, Athlone, Co. Westmeath. www.education.ie (090) 6483600. This appeal must be lodged within 14 days of receipt of the refusal from the school to enrol.